Holy smokes, WTF was that?! That vertical visual installation you usually just see in judgment day movies is actually a pyrotechnic artwork by Chinese contemporary artist Cai Guo-Qiang, who is popular for his gunpowder-manifested works of art. 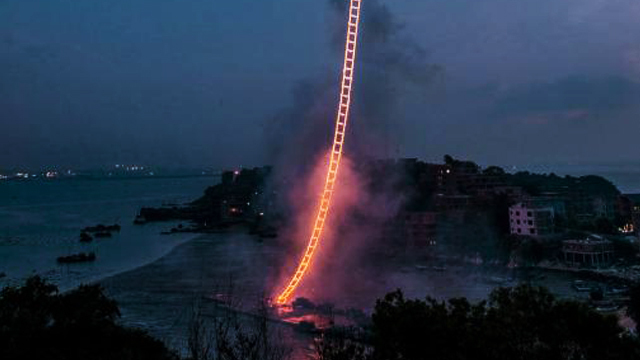 The "Sky Ladder," pulled off at Huiyu Island Harbour, Quanzhou, Fujian during dawn, is one of Cai's recent masterpieces.